Historians have long known about Kush, but relegated its importance to a vassal state of Egypt, significant only for its gold reserves. Early excavations in the Kush capital at Kerma suffered from the innate racism of the archaeologists. Fabulous grave goods, discovered in the 20th century, were thought to have belonged to Kush's Egyptian overlords. 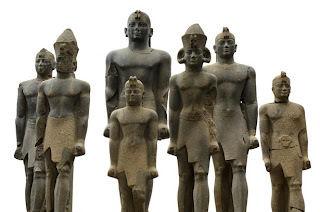 They didn't consider that a black African culture could have challenged Egypt's supremacy.